On February 21, 2019, the Newport Beach Police Department served a search warrant and arrested Marco Antonio Rodriguez Arango, a 23 year old resident of San Marcos, for the crime of Bank Robbery. 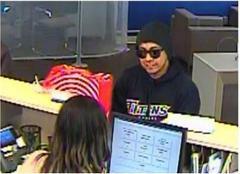 Arrango was the outstanding suspect in the bank robbery of the Citibank in Newport Beach (1100 Newport Center Drive) that occurred on February 8, 2019. Arrango was booked at the Newport Beach Police Department jail on the charge of 211 PC - Robbery. 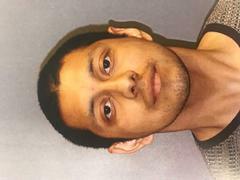 At this time, it is believed Arrango was involved in two additional crimes that occurred on February 5, 2019; the first involved a bank robbery of the Chase Bank in Oceanside, California and the second was an attempted bank robbery of the Wells Fargo Bank in Escondido, California. Please see attached photo of Arrango during the Newport Beach Bank Robbery and his NBPD jail booking photo. We ask that anyone with information on this crime contact Detective Prince at 949-644-3762.